An easy to use app that shows the user the final sales price of any item. 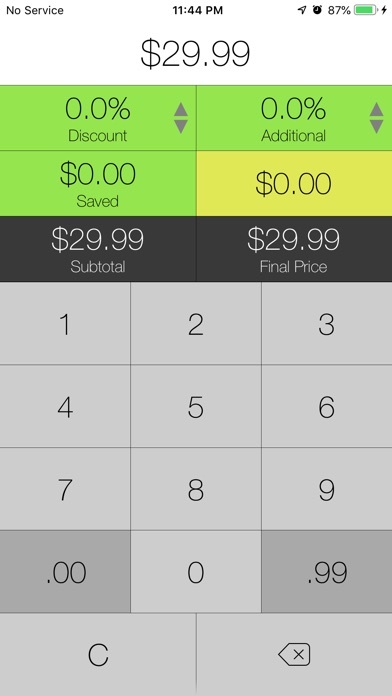 Simply input the base price of the item along with any discounts, and Sale Price will show the user: money saved, sales tax, and the final price of an item. 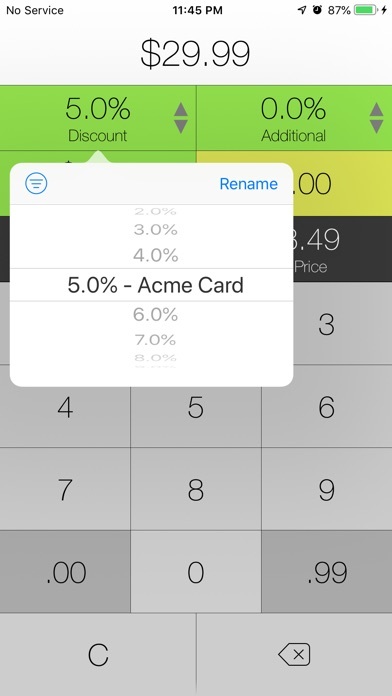 Features: - Calculates the price of an item after an initial discount, and any additional discounts. - Local sales tax is calculated based upon current location (Requires allowing the app to access location while in use; Available only in the US). - Easy interface shows how much was saved with discounts, amount of sales tax, and final purchase price. 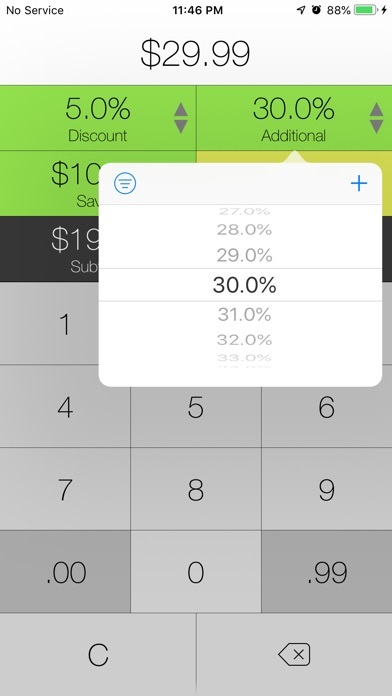 - Named percentages make it easy to find and choose commonly used sale percentages, or discounts provided by store cards.